This can be reduced to 26 speaking roles. See "Casting" tab below. Both these CDs include Overture, ALL Songs, Special Effects, Play Ons and Play Offs in the order you need them enabling production and direction to take place without specialist musical expertise. However - for those of you who prefer a live pianoforte accompaniment, we now have available a superb BRAND NEW Performance Score which encompasses Overture, ALL Play Ons and Play Offs, Songs, Link Music, Cues and Chord Symbols. (Grade 6 standard). 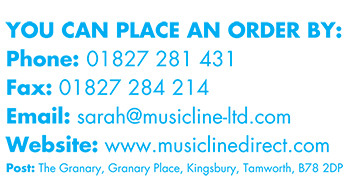 We also have available a BRAND NEW Rehearsal Score (Grade 2 / 3 standard) - Check them out on the "Script and Songs" heading. "We are grandparents of a year 6 pupil at this school and the play was performed as a leaver's celebration. It was wonderful. The script was just brilliant for this age group (and perhaps a bit younger) and for an audience aged from 2 to 90. I usually look forward to this type of school event with a vague feeling of dread but this was a brilliant evening full of laughter and some amazing performances, supported by the perfectly pitched script and music. Genius. " "We are grandparents of a year 6 pupil at this school and the play was performed as a leaver's celebration. It was wonderful. The script was just brilliant for this age group (and perhaps a bit younger) and for an audience aged from 2 to 90. I usually look forward to this type of school event with a vague feeling of dread but this was the best. " "An absolutely brilliant play. We performed it with Y3/4 and they loved it. The songs were easy to learn and lots of fun (Boys in Blue took a while to master the different parts but totally worth the effort). It got fantastic feedback from the parents as well." "A fantastic show, really funny and plenty of parts so that each child had their chance to shine. The music and sounds effects are excellent, as is the choreography (on disc). We absolutely loved it! " "This has been an excellent show for our school to perform. All sorts of characters for all sorts of people. It has been so enjoyable performing this outstandingly wrote play. Our performance is due to be next week and it will certainly be a thriller!" ""A amazing show that if filled with joy & laughter! It will make you realise the laughter side of the world. Line that are sure to get the audience laughing & up of they seats and joining in. The songs are catchy & suitable for little voices. What a joy to direct!!"" "A fantastic show filled with one liners that which are sure to get the audience laughing. Brilliantly written and perfectly suited to children of all primary ages. The songs are up beat, catchy and perfectly pitched for little voices. A joy to direct!" "I have been doing School Productions for 14 years. Porridge held the students' attention from the word go. 250 students loved the production." "Our junior section have performed this piece and had a whale of a time. It is fantastic, hilarious script, brilliant songs and something for everyone; an all round, fun filled family show. We absolutely loved it!" "This is a amazing story and all of my friends like it to and it makes you want to buy it off line i hope you enjoy it!" "A clever story, hilarious script and fabulous songs that our whole school loved performing. The parents and pupils are still talking about it - a spectacular success! " "Every year the pupils of Years 5 & 6 at St. Elizabeth's put on an end-of-school-year show. By far the most successful (and most enjoyable for everybody) have been shows written by Craig Hawes. Every year we think he can't better that year's script. Every year we are proven wrong and 'Porridge' is no exception... it also has the added bonus of the really helpful, easy-to-use Sing It! song learning program AND a DVD with the choreography for the songs demonstrated. Absolutely brilliant! It makes our jobs so much easier." "Years 5 & 6 did Porridge last term. They loved the humour of the script and songs, as did the audience. So many aspects were helpful - the list of props scene by scene, the choreography for the policeman's song, even the number of lines per character all made producing the show so much easier. And as usual with Craig's shows, we loved the music and the backing tracks. How he manages to produce one good show after another, virtually on yearly basis, is just fantastic. A great writer and one we delight in recommending to other schools. You're missing a real treat if you don't jump on board!" "Spectacular success. Your play was out of this world." "Outstanding!!! and that's just the rehearsals... thank you - brilliantly written..."
"We are performing it at the moment. Best play we have ever done. Thousands of jokes and every night we have a full house. Tonight we have to put in 14 extra chairs because everyone loves it." "This play is outstanding. At first i didn't want to do a play but after I saw this one I was really excited. I love it." "Having directed school productions for 13 years, this was by far the best yet. From the first rehearsal it was a joy and has been so much fun. The children absolutely loved it and the audiences were full of nothing but praise! I thoroughly recommend this musical. The Boys in Blue song is pure gold and everyone's favourite part." "Having performed Pirates of the Curry Bean (by Craig Hawes) last year, we thought that it was going to be a very hard act to follow. 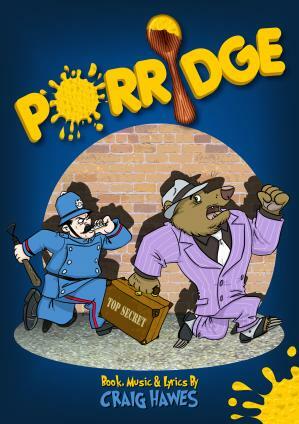 However, Porridge was an excellent show - so full of jokes, one-liners and catchy songs. From the first rehearsal I knew we had a winner. All pupils had a chance to shine, as the script had so many central characters. They all had so much fun, as did the audience!"